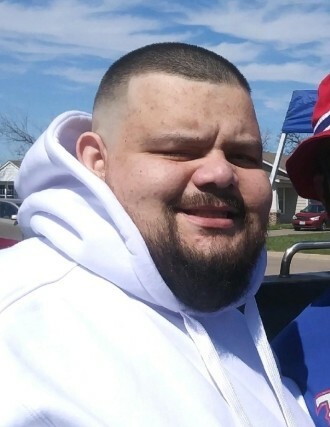 Carlos Jose Hernandez (31) of Fort Worth passed away on March 21, 2019 in Fort Worth, Texas. Carlos was born on November 5, 1987 in Fort Worth, Texas. A Memorial Service will be held at 11:00 AM on Saturday March 30, 2019 at Christ Wesleyan Church, 3709 E Harwood Rd, Bedford, TX 76021. Carlos is survived by many loving family members and dear friends. Carlos is preceded in death by his mother, Pamela Hernandez along with other loving family members. Carlos will forever be remembered for his wonderful personality and his loving heart. He lovingly embraced is nickname, “Big Daddy” and was a proud Godfather to his nieces and nephews. Carlos was always in a good mood and lifted the spirits of those around him. His memory will forever remain in the hearts of those who knew and loved him.